One of the Best Locations in Houston. 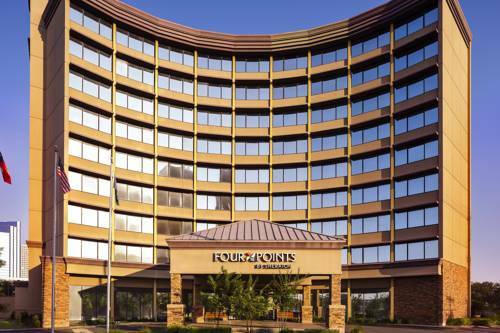 The Four Points by Sheraton Houston Greenway Plaza is ready to welcome you with uncomplicated comforts and a great central location in the Greenway Plaza/Upper Kirby neighborhood. The hotel is perfectly situated between downtown, the Galleria, the Museum District, and the Medical Center, with easy access via U.S. Highway 59 at Kirby Drive. Were convenient to the best dining spots, fantastic shopping, sports stadiums, and some of Houstons most popular attractions. Enjoy the outdoor pool, a fully-equipped fitness facility, and excellent service from our friendly staff. Join us at the Upper Kirby Tap Room for American cuisine and a full bar. Down to Business. Our hotel was specifically designed to cater to the needs of todays business traveler. Our free 24-hour Business Center offers High Speed Internet Access, two computers, and a laser printer. Additional business services such as faxing, copying, and scanning can be done for you at the Front Desk for a small fee. So get down to business, but leave some time to play. Room to Breathe. Snuggle up and enjoy the comfort of a Four Points signature bed. Get work done on the oversized work desk, or simply surf the web with free wireless High Speed Internet Access. Help yourself to free bottled water while you watch television, or have something tasty delivered by in-room dining. All of this in one smoke-free room? Only at the Four Points by Sheraton Houston Greenway Plaza. We understand if you want to go exploring. Just don't stay away too long. The Upper Kirby Tap Room serves delicious food with a warm Texas atmosphere. Bring your laptop or watch a game as you enjoy a great selection of craft beer, wine and cocktails.